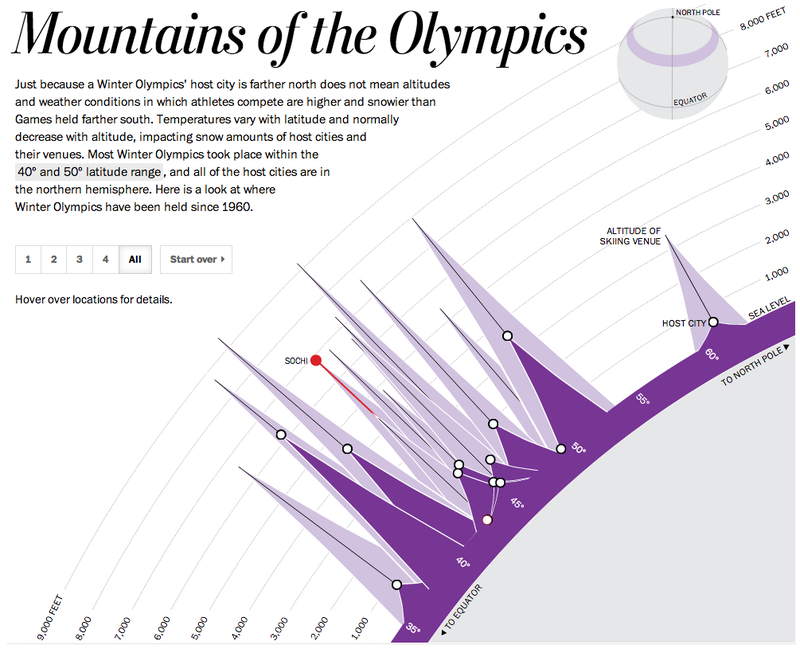 Over at the Washington Post, Darla Cameron, Cristina Rivero and Gene Thorp have created an excellent graphic comparing the latitude, host city altitude, and skiing venue altitude of every Winter Olympics since 1960. Squaw Valley, Ca. was the highest host city and Salt Lake City was the highest ski venue, because the U.S. has lots of badass tall mountains. Lillehammer was the furthest north—at the same latitude as Anchorage— and also had the coolest name. The original version is an interactive; go check it out.